Babywearing is something I was never really aware of when I had my son, Logan, 5 years ago. Don't get me wrong I saw the odd baby carrier floating around but I never realised how vast the world of baby wearing actually is! I decided this time round with my daughter, Harlow, that I'd quite like to give it a go and see if it makes any difference to our lives or if it's just another one of those baby products which are nice to have but not really necessary. I've recently become an ambassador for Slumber-Roo who are passionate about baby wearing and provide many different styles and brands of baby carriers. Harlow and I were sent the Boba Wrap to test out and review ourselves so here's what we thought. 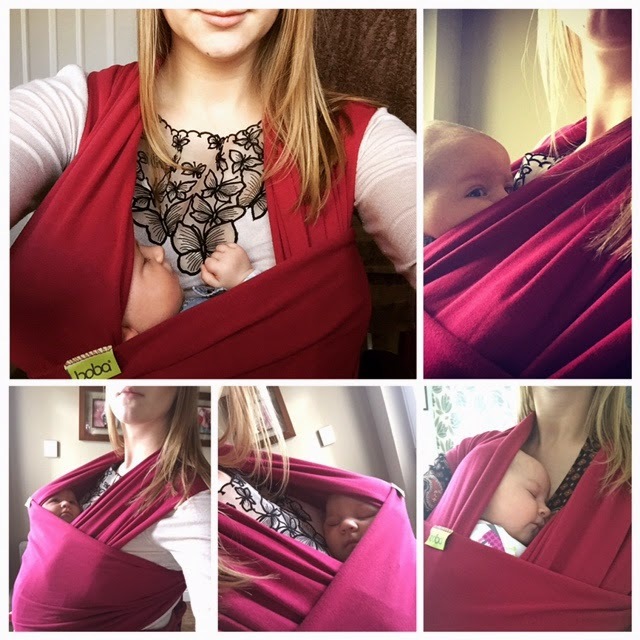 We received a Sangria coloured Boba Wrap to try and what a beautiful rich colour. Lots of people have commented on how bright and eye catching it is. The Boba arrived in it's own neat little box with carry handle. The box has lots of lovely pictures on it, as well as a quick demo guide of how to wear the wrap. Inside was the Boba Wrap along with a carry bag which is made of the same material and has a drawstring tie at the top to keep your Boba safe and clean. You get 3 different leaflets within the box as well. One detailing The Benefits of Babywearing, a Babywearing Safety Manual and the Boba Wrap Instructions Manual. The wrap itself is very very very long, I totally wasn't expecting it to be so long but it needs to be to fit round your body and hold your baby of course. I'm around 5ft8in in height and I can fold the wrap in half and hold it up beside my head and it still touches the ground. It's made from 95% cotton and 5% spandex which means it's super stretchy. Think super stretchy mum from The Incredibles film and that gives you an idea of just how stretchy this wrap is. It's suitable from newborn to toddler (up to 35lbs), one size really does fit all and you can machine wash it so not to worry if baby has a sicky or your toddler drops a snack down it. The Boba costs between £38-£52 depending on which colour takes your fancy. Make sure your baby can breathe at all times. Never allow your baby to be carried, held, or placed in a position that curls the head against the chest as this can restrict your baby's ability to breathe. Never allow your baby's head and face to be covered with fabric. Never jog, run or do any other activity that subjects your baby to strong shaking or bouncing motions. Never use a baby carrier when riding in a car or while riding a bike. Only use carriers that are appropriate for your baby's age and weight. Inspect your carrier regularly to make sure it is sound. It is always important to avoid activities with an increased risk of falls. If you need to wear protective gear while doing something, you shouldn't do it while carrying a baby. Be sure to protect babies from the elements. Be aware of what your baby can reach. Your baby's nose should be at least parallel to the floor at all times. Be cautious when eating hot food or consuming hot beverages when your baby is in the carrier. Support your baby with your arms when leaning or bending over. Helps you to interact with your other children while holding your little one close at the same time. Regulates your baby's body temperature. Allows you to safely move about with baby regardless of terrain. Babies get a better view of the world. Supports arousal regulation - when held upright on their mother's chests babies spend more time in a quiet alert state, the optimum state for observing and processing. Last but not least I moved onto the Boba Wrap Instructions Manual which gives a step by step photo guide accompanied by written instructions of how to wear your wrap. The instructions are really good and so much better than most products however if you're like me and you learn by someone actually physically showing you how to do something then you may find the photo instructions and written instructions a little tricky. Not to worry though as there's some great tutorial videos on the Boba website for you to watch at your leisure. There's also YouTube of course for more how to videos. These videos really helped Harlow and I. At the start I really worried I was doing something wrong and had a panic that Harlow would fall out but I persisted and with the help of the videos my confidence grew. The beginning of our babywearing journey wasn't easy, Harlow was still small and she must have only been around 4-5 weeks old when we tried out the wrap. I wasn't confident in what I was doing at all so my first few attempts fell flat as I was worried I hadn't tied the wrap properly, or I hadn't positioned Harlow properly, or Harlow wouldn't stop crying, or she was just too hungry and trying to feed and I couldn't get a position quick enough for her to latch on. I left it a week or two before trying again since Harlow would be a bit bigger and maybe I'd feel a bit more confident after watching some more tutorial videos. I'm glad I didn't give up as we finally cracked it. The Boba is very comfortable to wear, it doesn't dig into your body at all even with baby in their however it does make my hip fat plump out a bit. Small price to pay for a happy baby and comfy wrap. The one thing that does irritate me when putting the wrap on is that it makes your top ride up on you and I wouldn't want to be flashing my tummy in public however once the wraps in place and you've adjusted your top it doesn't ride up any more. As previously mentioned the wrap is super long and for that reason I've never tried to put it on outside before because it's guaranteed to get dirty on the tail ends which hit the floor. I'm sure I could get round this though depending on where I was going i.e. if I was travelling in the car and taking the wrap with me to an animal park I'm sure I could quickly put the wrap on in their reception so it didn't get dirty from outside. 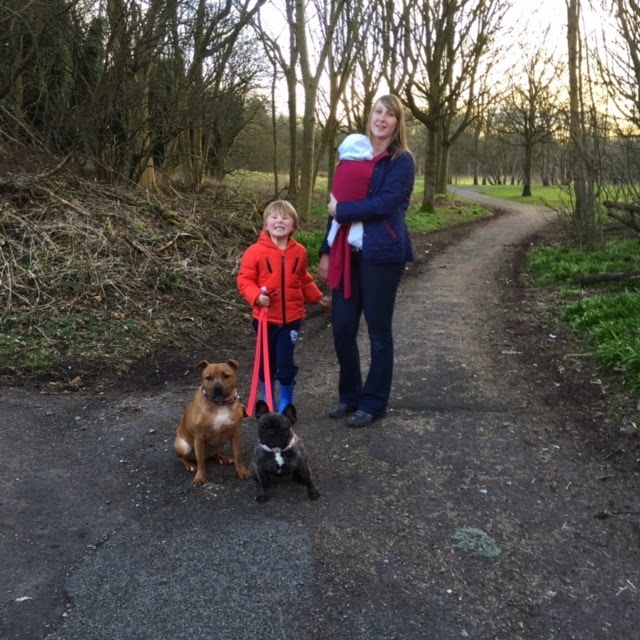 The wrap is also handy if you've got other children and you need to see to their needs as well as your baby. I'm lucky that Logan is quite understanding as he's a bit older however it doesn't stop him from shouting for snacks after school or asking me to play a game with him and I just can't do it when I'm holding a baby! 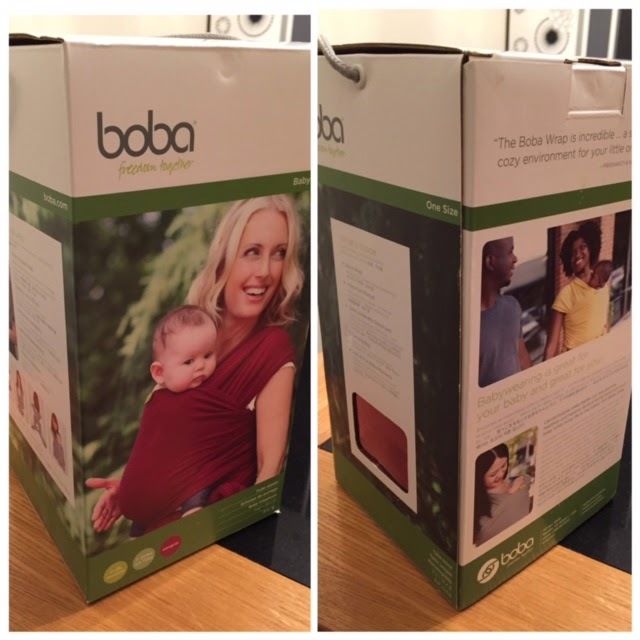 For this reason the Boba Wrap is invaluable, it snugly and securely holds your baby whilst you tend to your other children or get on with daily tasks. Overall I'm going to give the Boba Wrap an 8 out of 10. 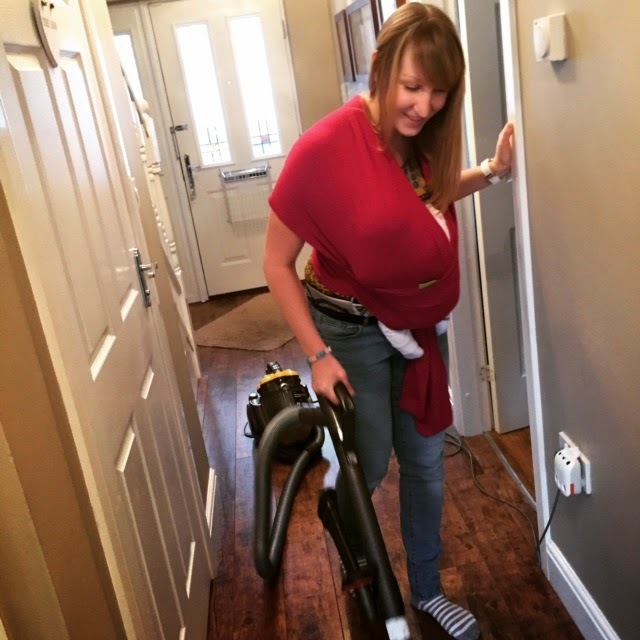 It's comfy to wear, easy to use when you eventually get the hang of it (might take a few attempts but worth it), perfect for using when out and about where prams can't access, keeps your hands free for other children and general day to day tasks, keeps baby happy, safe and secure and helps your baby have a much needed sleep! Or at least it does for Harlow anyway - she's a sleep fighting baby!! The only issue I really had was at the very start and how to go about learning to use the Boba Wrap. I found it a bit fiddly and frustrating but the more I practiced the better I got and it takes me seconds to put the wrap on now. I would recommend this wrap to friends and family, it's definitely worth it. Please visit www.slumber-roo.co.uk for more products and information. 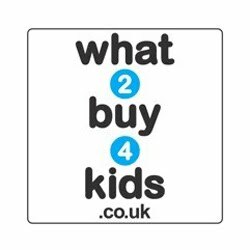 You can also see what they get up to on Facebook and Twitter so why not pop over and say hello! I was provided with the Boba Wrap free of charge in order for me to conduct this review. All opinions are my own. 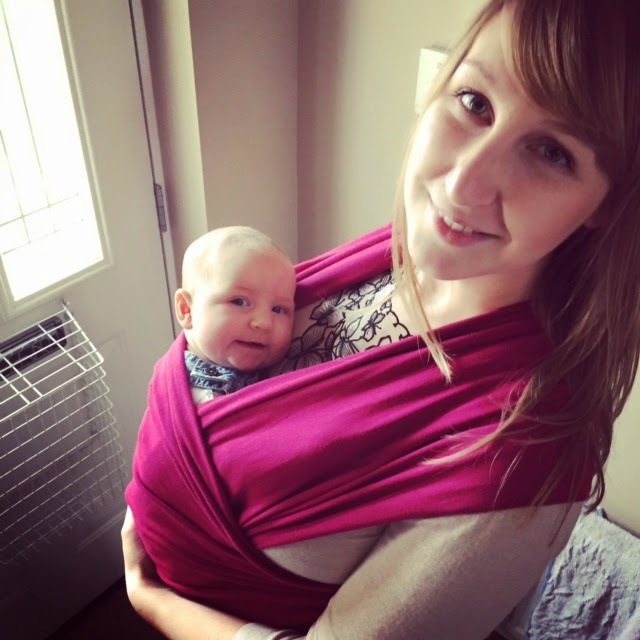 6 comments on "Review: Boba Wrap from Slumber-Roo"
Looks nice and comfy for mum and baby. Colour looks nice too. We love babywearing the DADventurer household. I think the missus won a Boba Air but we've never used it - Baby L was too small when we got it and since then we've used the Stokke MyCarrier and BabyBjorn We. Fantastic review. I've heard really good things about the Boba and your review supports them well. I really want to try a wrap with baby three. I need to head over to Slumber-Roo and have a look around.